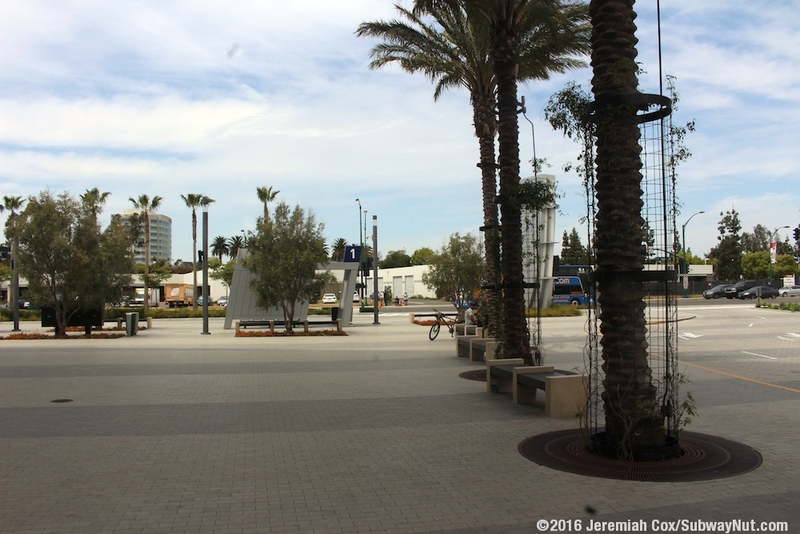 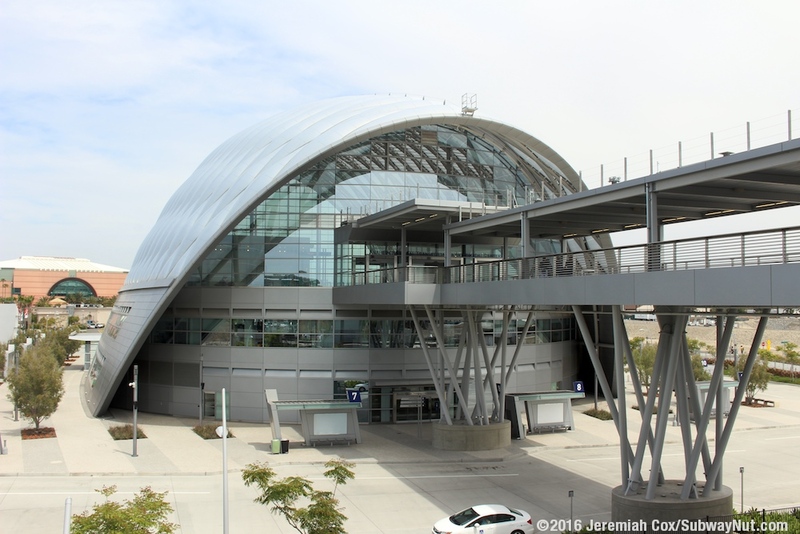 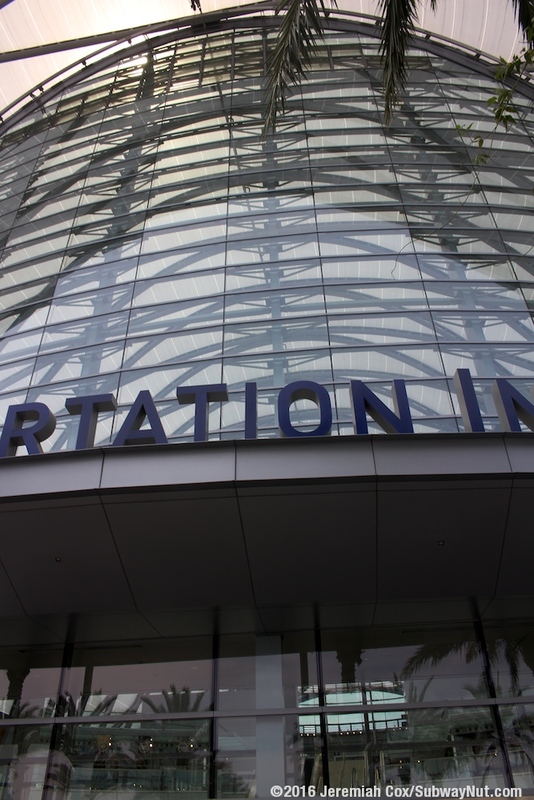 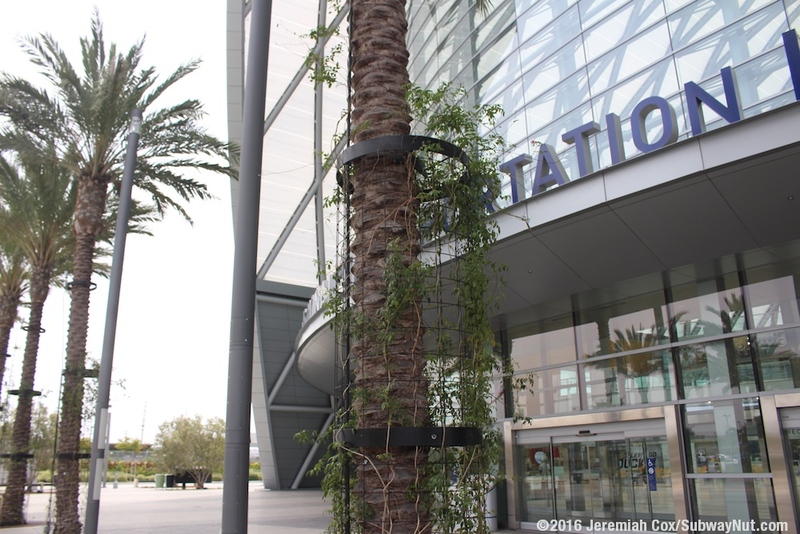 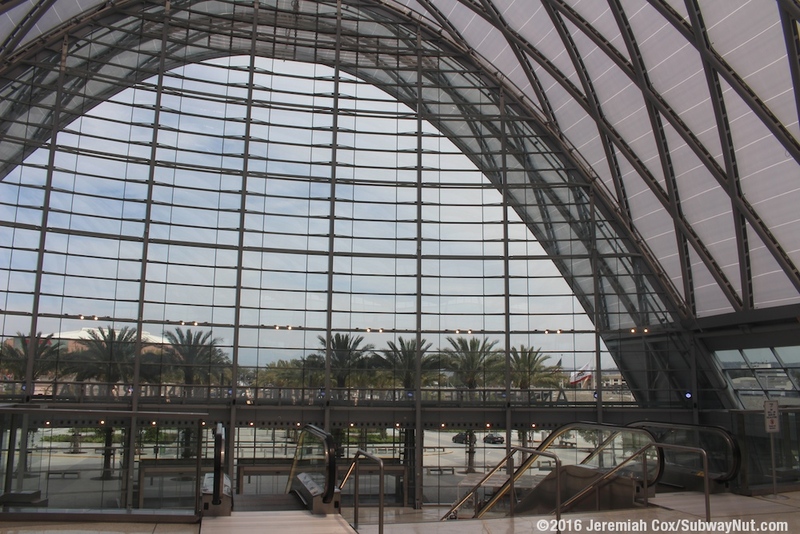 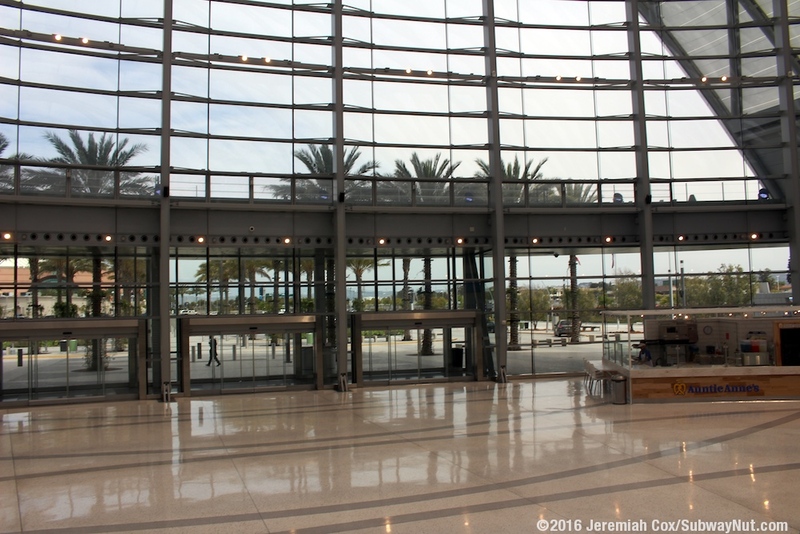 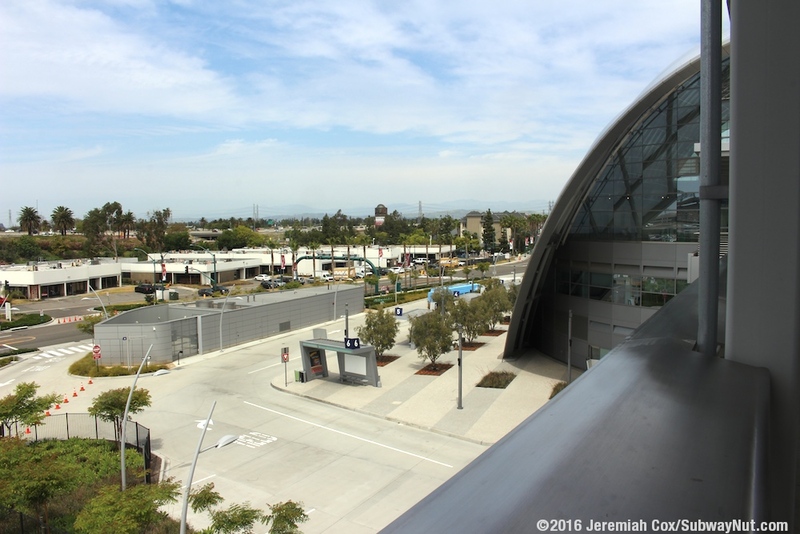 The Anaheim Regional Transportation Intermodal Center opened on December 6, 2014 as a way to combine Amtrak and Metrolink, with Intercity Bus (Greyhound, Megabus, and Tres Estrellas de Oro to Tijiana), along with local OCTA, and ART (Anaheim Resort Transportation) buses that provide infrequent (every 30-40 minutes), with a non-posted schedule to Disneyland. 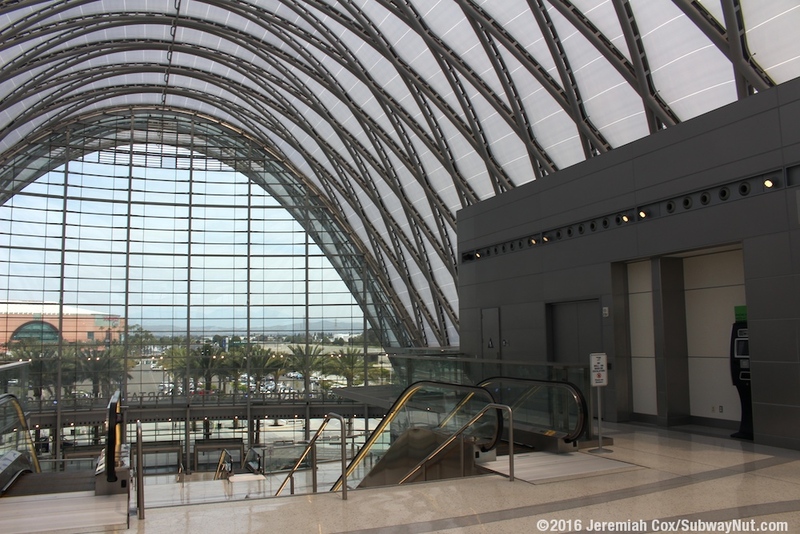 The modern glass oculus station is designed for the future for California High Speed Rail (if it ever arrives), and a transit line (either a Monorail or a Streetcar) the 3 miles to Disneyland. 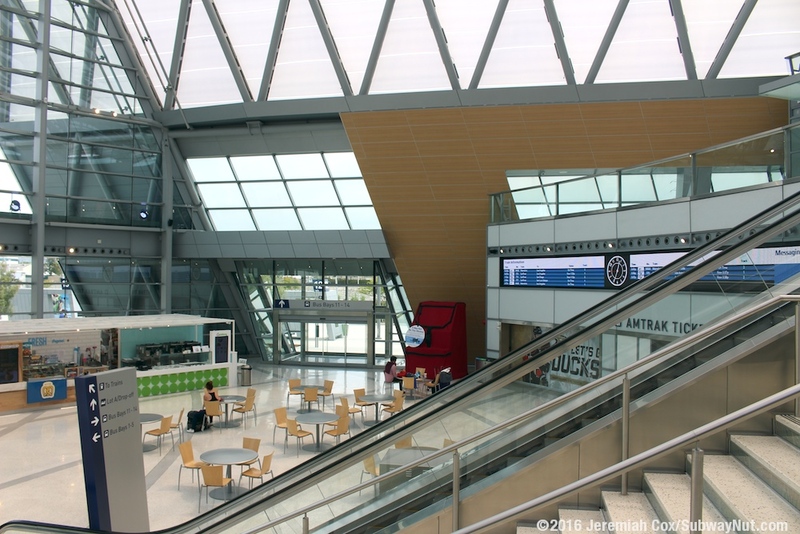 Entering passengers reach a modern atrium, directly in front of them is a long staircase with two escalators along each side up to the second floor. 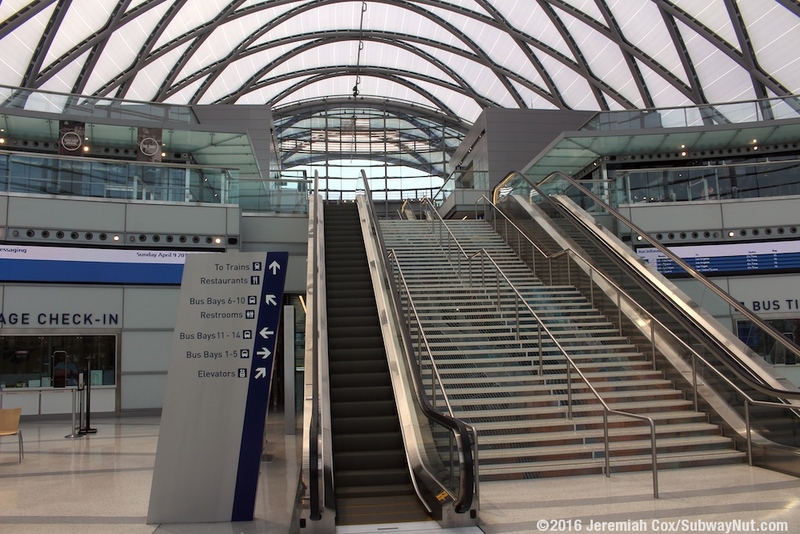 On each side of this staircase are separate ticket offices for rail and bus. 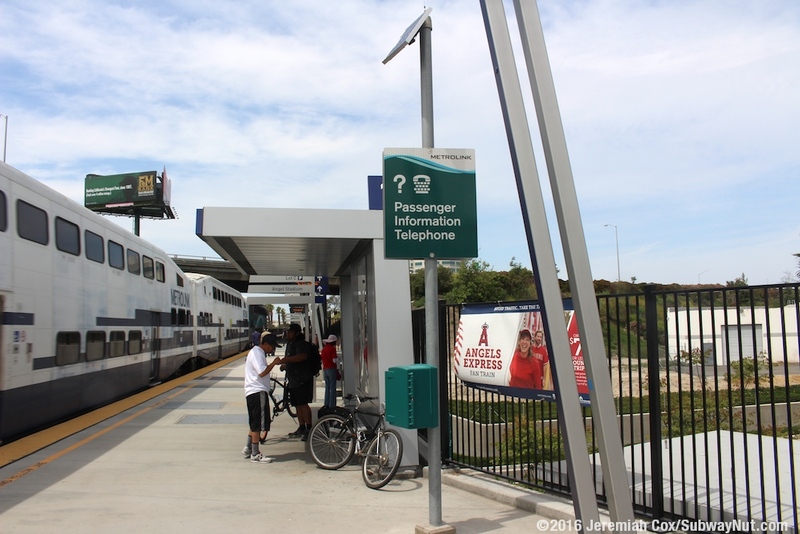 Each of these has large LED departure boards for bus and train times. 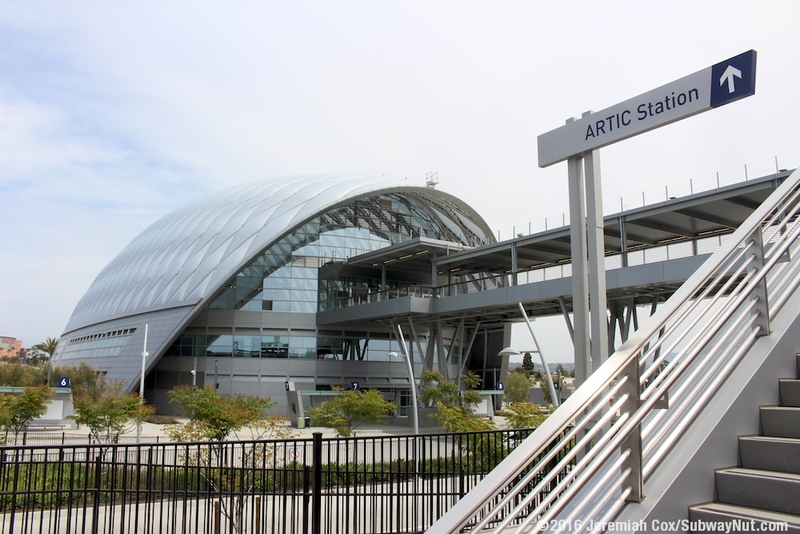 A corridor leads back (past some retail space) towards additional doors out to the bus bays on each side of the Artic Station. 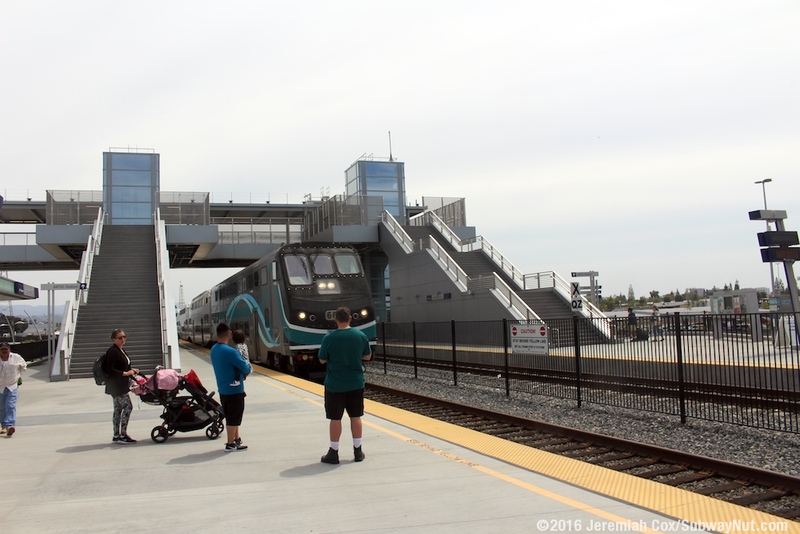 To continue towards trains passengers must go up the staircase first to the second floor (with more retail space), and then up a shorter flight of stairs (with escalators) to the third level and access to the bridge out to the rail platforms. 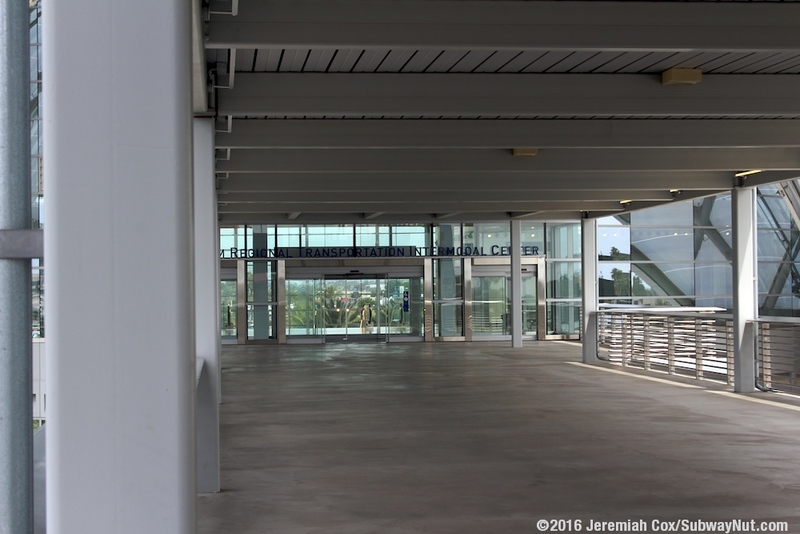 For trains, the station has two side platforms that begin just southeast of the covered bridge that provides two elevators (in seperate glass shafts on each side of the bridge) and long staircase down to each platform. 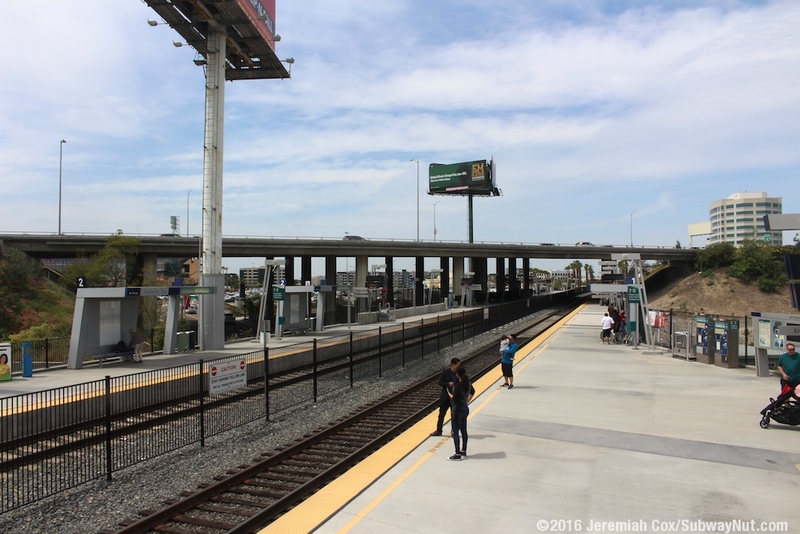 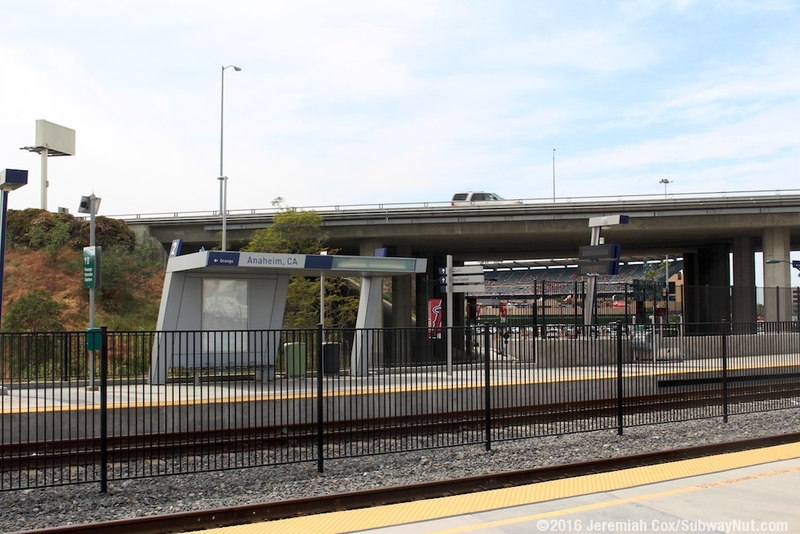 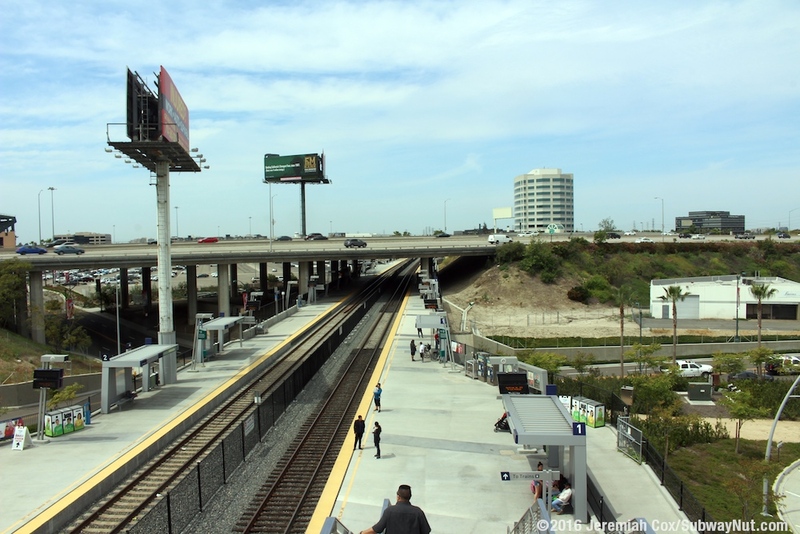 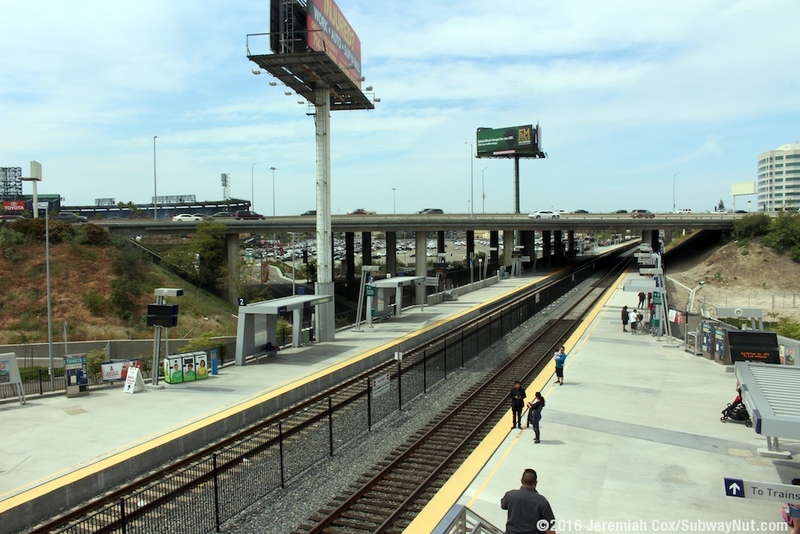 These platforms are extremely long (with the former AmStation once at their western ends) lead over Douglas Road, under the CA-57 Freeway, with a final ramp off (and pedestrian tunnel remaining open from the original AmStation) each platform to the parking lots that provide access to Angle Station. 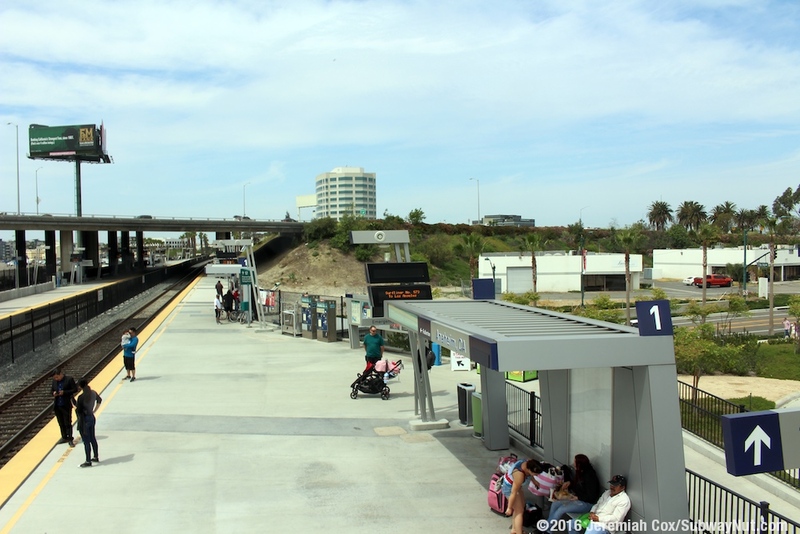 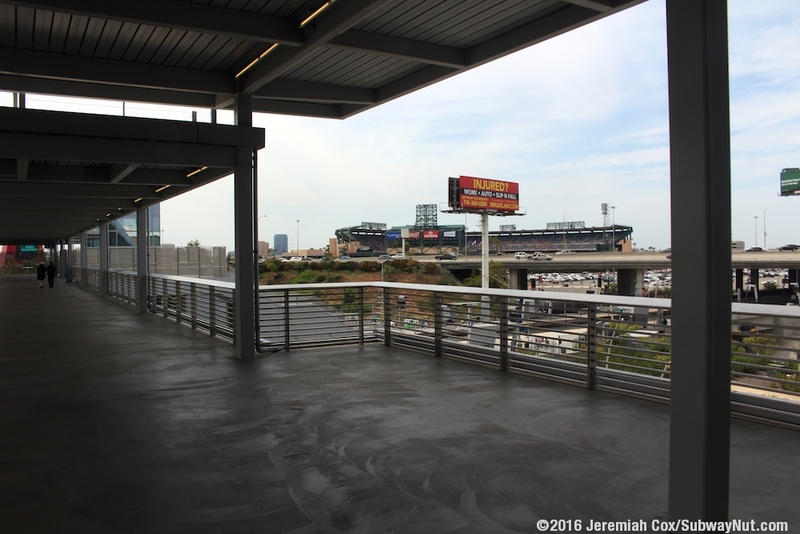 The platforms have futuristic shelters held up by angled steel beams, covering benches.